This level is difficult as you have only 19 moves and you need to bring down all onion ingredients with little bit complicated candy board. You might have few boosters like fish, colorbomb or etc that you can also select. To bring down ingredients you should try to break candies that are below to ingredients or try to make chance of special candies like wrapped candy that you can make by making ‘L’ or ‘T’ shape of same color candies and if you match it with striped candy will break 3 rows and columns. It could be helpful if you select colorbomb booster or get colorbomb by combining 5 candies and match with other special candies will break so many candies in a single move. You could get extra points in end if you have extra move and it will convert in to striped candy that you can also see in a walkthrough video. 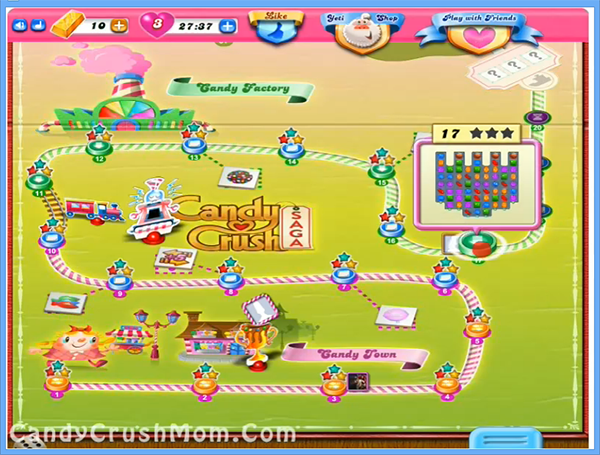 We completed this level with 95300 score by using special candies technique with just 10 moves and in end remaining 9 moves converted into striped candy that help to give so big score.